5x7 inch dry plate glass negative, George Grantham Bain Collection. New York circa 1921. 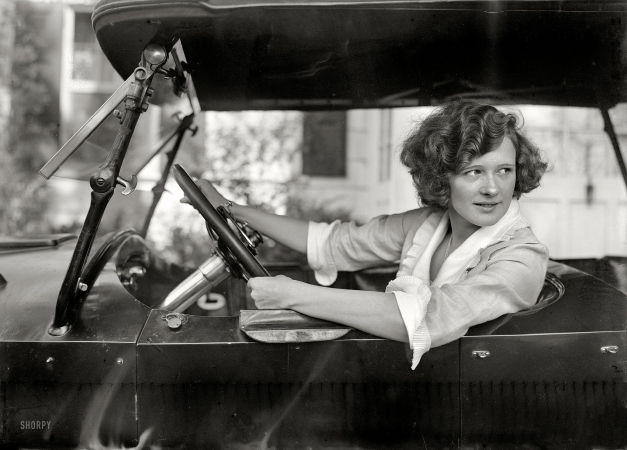 Stage actress Marilyn Miller in the driver's seat.